Investing, business, finance &economics - Mark Homer has the experience to help you with many of your questions & challenges. 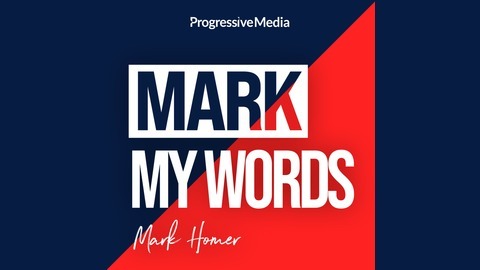 Mark My Words is a successful, eccentric & introverted businessman’s experience of 20 years with no waffle, ads, bravado or big pitches. Mark will interview the worlds most successful business, finance & money experts as well as impart his knowledge in a factual, direct manner. Mark runs & owns multiple businesses & property portfolios so teaches you what he does on a daily basis. A contrarian investor & capitalist, Mark will help you raise more finance, make more money & grow your business empire. How do you create a successful business and solve the housing crisis at the same time? Well, Alfie Best has one of the most innovative answers out there at the minute. The owner of Wildcrest, which is the biggest Mobile Park operator in the UK, soon to be the world. In this interview, Mark asks Alfie, how he started out in the industry, what the mechanics of the industry are and why Alfie believes they are the answer to the housing crisis in affordable houses currently? Listen to one of the most successful business people in the UK and what his advice is on creating a successful business in 2019. Why did you get into the Mobile Park Industry? I was born and bred in a caravan as a Romani. Who better to run Mobile Parks than someone who has lived and breathed this world throughout my life. It was a natural progression for us from commercial conversions. I really believe in them, and I’m passionate about my business, I don’t really see it as work. How does the mechanics of the business work? It’s not complicated the customer actually purchases the mobile home often for 50% of what the same property would be if it was classed as a house. They get a 1983 mobile home act document drafted from the government which is an infinite lease on the property. It has no end date. It’s a simple but powerful document. You are in effect purchasing a bungalow at residential standards which are pre-fabricated. It’s like a timbre home from the states or modular homes which you see popping in different places. They have to be built on a chassis and have wheels, but they never get moved. How does it benefit you to have a mobile home? Once it doesn’t have wheels and a chassis it becomes a house. If we have planning permission for a mobile home park then we can’t build houses. It’s classified as a caravan but it is never towed or moved anywhere else, it’s essentially static. We all need to find our niche. I don’t regard this as a niche, we than 13,000 residents as a country and we have 5 parks in North Carolina. We are looking to expand our business in the US. Councils are still of the opinion to say no, it's not seen as a positive to support our kind of business. Sensible government is a friend often but councillors can be really difficult to work with and can go against what the government have set down. How do you cope with working across different continents and countries? Have you found it challenging? When you start a business anywhere in the world, you have to pay an ‘idiot’ tax which is about learning to run your business. I always say that you should start small so your ‘idiot’ tax is a much smaller cost. When we first went to America we only bought one home. A business has to be like water, it has to flow and change but be strong enough to keep going forward. Why is it that mobile home parks are the answer to affordable housing? It’s very simple. The government are trying to build their way out through social housing. As there is no cap on it and they have to compete on the open market it’s never going to solve the problem. We don’t offer houses for key workers like ambulance staff for example. Properties should only be able to be sold to key workers in key sectors. Whereas park homes only ever stay as affordable housing, always at 50% less than a house even when the price goes up it's always comparatively cheaper. That’s because there is a stigma to it. Most of our customers are downsizing. A lot of our customers are buying a mobile home and then buying a second home in Spain or the US. Houses don’t have to be a ball and chain around their neck, it allows people freedom in older age. We are trying to lobby the government to explain this. There are some great councils and are some terrible councils. We are bringing people who are semi-retired or retired people to an area. So we are actually bringing other families as well. We are helping social housing as well as contributing to communities. I hate the word social housing but I think of it as affordable housing. What have been your biggest setbacks in business? The biggest set back was not questioning myself too much when I nearly went bust. Broke means that you are in negative equity, and verging on either going bankrupt which is where I found myself. I had a house with too big a mortgage invested in it. My biggest mistake was I didn’t see the recession coming because I wasn’t experienced enough. I thought I was better than I was. How have you changed this ready for the next recession? We have stopped looking at profit and concentrated on cash flow. My board loves talking about profit, but I focus on cash flow. The cash flow could be in the red but your profits look great. It’s a balancing act. Making sure your business is sweating, and your wastage at minimum is essential. That could be down to the water bottles in the corner of your building. How do you innovate? What do you do to get better incrementally? We regularly buy business which has gone into administration. Firstly, we set up a rudimentary cash flow system to see where the business is, see how much in the red they are. See what there is that is needed and what is extra. You have to be harsh, and be commercially viable when turning around a business. Then as you get bigger we constantly review what we are doing. Mark Homer is an entrepreneur investor. He has worked with investment since he was 15 years old using the laws of wealth! He is a spreadsheet analyst with an impressive following from major publications including BBC Radio, The Wall Street Journal, The Independent, as well as co-authoring the UK’s best-selling property books. Mark has always looked for the best investment vehicle, and at the end of 2007 with Rob Moore the co-founder of Progressive Property his joint portfolio produced more profit than any of the other investments he’d tried in the last ten years, combined. Alfie Best a highly motivated business magnate, investor, speaker and philanthropist who serves as the chairman of Wyldecrest Parks. To achieve success is not easy and to maintain that success is even harder but Alfie Best has shown how it can be done, even when you have not been born with the proverbial silver spoon in the mouth. Born of humble origins and raised in a Romany Gypsy family, this self-made man studied at “University of Life” and started his professional success story totally from scratch. However, coming from a struggling background and a minority group only gave him even more desire to succeed. As a gypsy, he had to face many obstacles and prejudices but he has never allowed those to ruin his dreams and ambitions or to disrupt his investments into the businesses he operates. Instead, he has taken those negative prejudices and turned them into positives by surrounding himself with a diverse and multicultural team. Alfie Best manages his businesses as a real leader, knows his employees by name and likes to meet all residents of his mobile home parks. 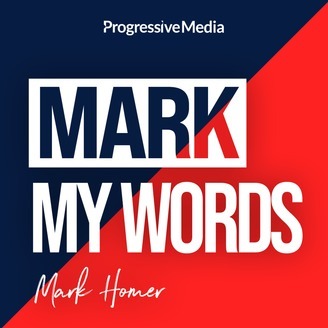 Mark Homer Ask me Anything, Brexit, The Next Recession & Mark's Favourite Doughnut!